If you love boxed macaroni and cheese, but agree that it takes too much effort to make (yes, I am unbelievably lazy) and that it costs too much money, (cheap frugal too!) this is the Ramen noodle recipe of your dreams. All you need are 4 ingredients...and really, you could make do with only 3 by substituting a second packet of noodles for the baggie of pasta. 1. In a 1.5 qt or larger glass bowl, add the Ramen and vermicelli with enough water to cover. Microwave on high for 6 minutes, stopping to stir halfway through. 2. When the noodles and vermicelli are tender, drain any remaining water. Add the milk, stir, and microwave again for another 2 minutes. 3. Do not drain the milk. 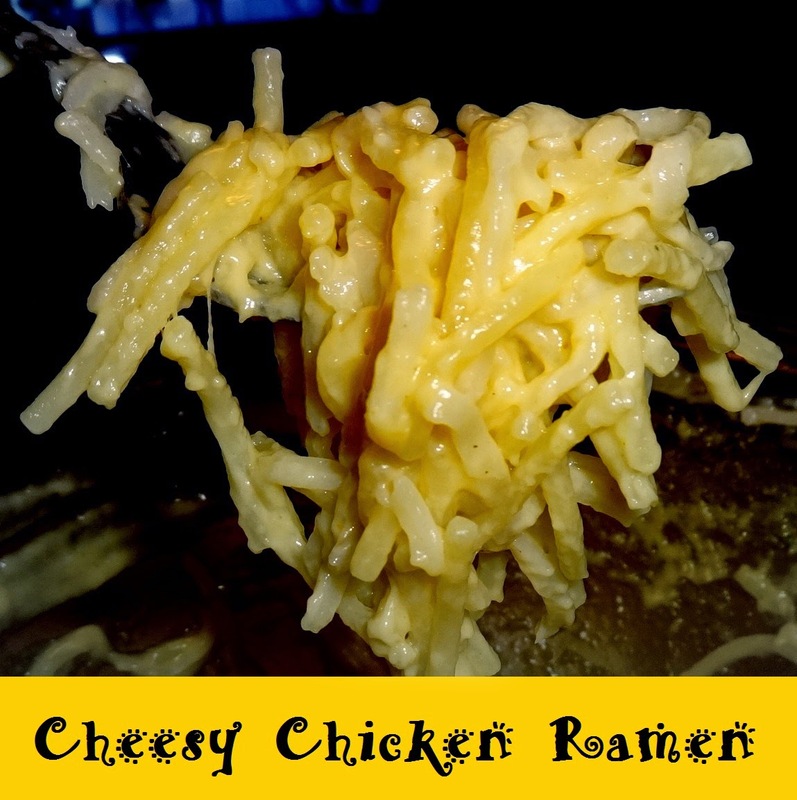 Add the shredded cheese and Ramen seasoning packet, stir, and enjoy the chicken-y, cheesy goodness. Who needs Kraft when you have Cheesy Chicken Ramen? And, of course, don't forget to try my popular Chicken Curry Ramen Recipe.